One of our favourite sauces has to be the steak sauce from Japanese restaurants. 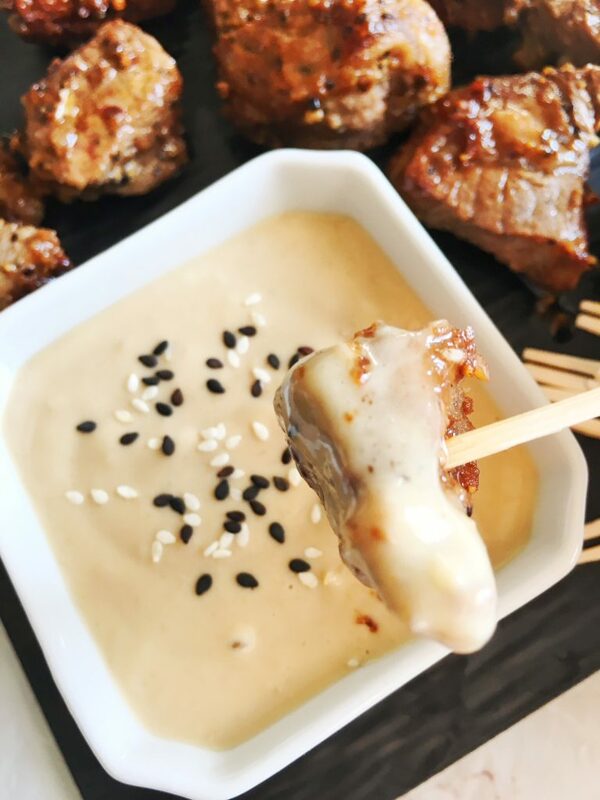 This is sesame steak sauce is simple to make at home and enjoy with easy to make steak bites. Those who know me know I can’t resist a good dip. It doesn’t matter how tasty the food is on it’s own, if there’s a tasty dip to go along side it, I can’t resist. Q is the same way. When he first tried the sesame steak sauce at a restaurant, he was hooked. He’s been asking for a while to recreate it at home.